Already 6 years have passed since our first website went online. We have not been lazy since then and have been working on both a book dedicated to the Dornier Do 335 and on ‘Captured Eagles Vol. II’ featuring a variety of rare late war Luftwaffe aircraft. With the publication of our next title within reach, it was about time to replace our old website with a completely new and modern one. You will not only be able to buy our book and decals ‘Captured Eagles Vol. I’ at our website, but also rare aviation collectibles that we will add from time to time. Payment is fully secure and can be done either via bank transfer or via PayPal. If you want to be among the first to get notified about new items, please register for our newsletter below. 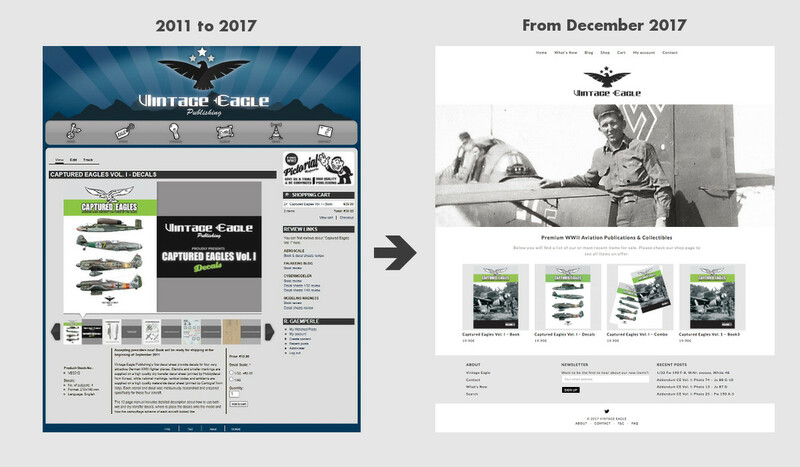 We also have a blog section besides our store where we will post addenda to our ‘Captured Eagles Vol. I’ and other interesting articles. Enjoy and please stay tuned for news regarding our next titles.